Last time we ran through some of the basic techniques that I use to process my lost wax cast pieces. And we asked the question : Are We Done Yet? Well, almost. I use essentially the same process for both bronze and silver. The biggest differences in the way pieces are processed depends on the shape of the piece. Flat pieces, like regalia medals, often require a lot less sanding and polishing than three dimensional pieces, like buttons, or pendants. 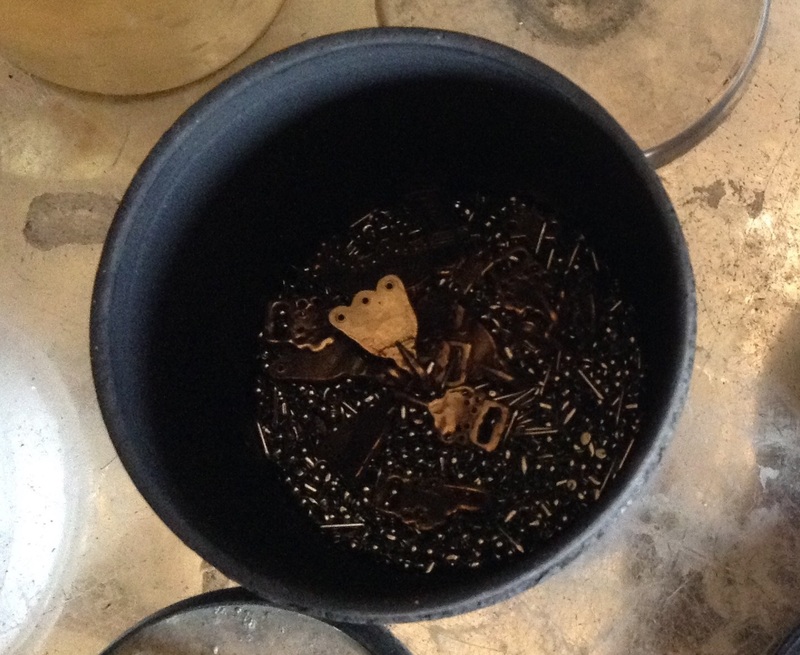 The Raven Viking Pendant, for instance, has more than one sprue connection that needs to be cut and polished off for each piece (three to be exact). If the piece needs to be drilled, this is when it happens. 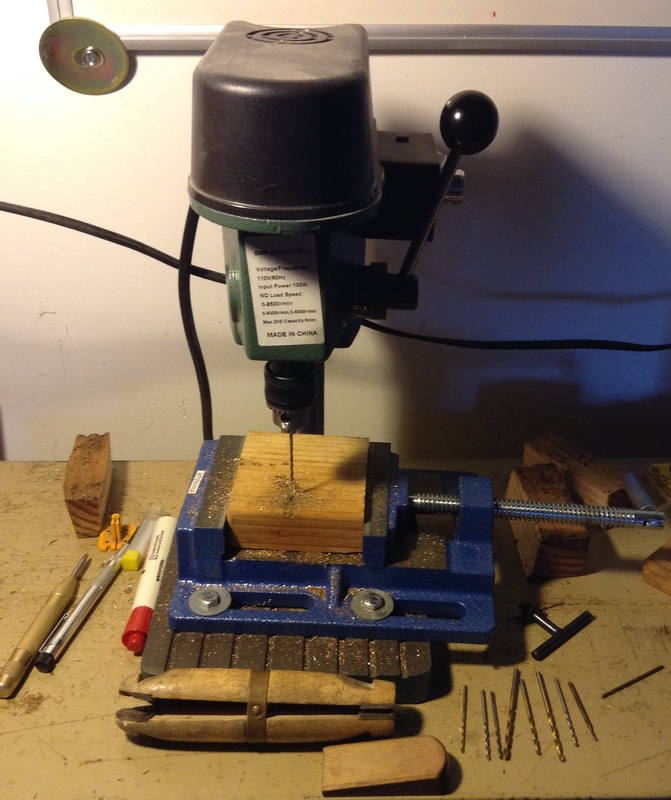 I use my little drill press to drill holes in the regalia medals and make sure that any other holes, whether they are in dress hooks, pendants, or anything else, are the size that they are supposed to be. This is also when any pieces that do not have carved maker’s marks can acquire stamped marks, if appropriate. I then use the Cratex wheels to remove any rough spots from pieces that were drilled. 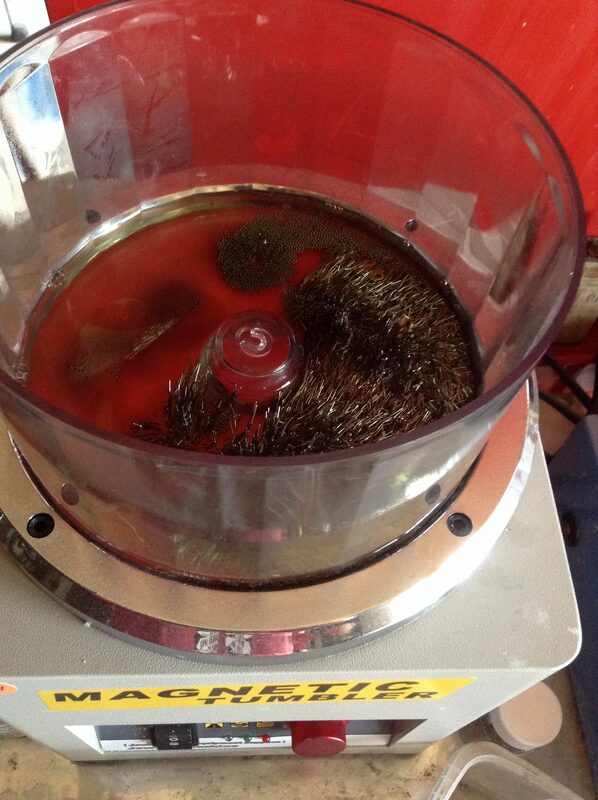 Assuming that everything has gone well up to this point, the pieces go into a rotary tumbler with stainless steel shot to burnish. Here is a picture of the rotary tumbler barrel, with stainless steel shot and a collection of dress hooks. You can see how much cleaner the castings are. The stainless shot will make the pieces a lot shinier. After they have tumbled for about 20 minutes, a quick check will reveal if they need more cleaning or not. Some pieces just need a little more help. And that help usually comes from the magnetic tumbler. And this is a view inside of the magnetic tumbler. Those tiny little hairy things are pieces of stainless steel which are about 1.5 mm in diameter and 5 mm long. The machine uses magnetism to fling the tiny pieces of steel in a vortex at about a gazillion miles an hour. It is great for getting into nooks and crannies and cleaning them out. Once the piece is clean and polished enough, it is rinsed and then put in the dryer. The dryer? Yes. 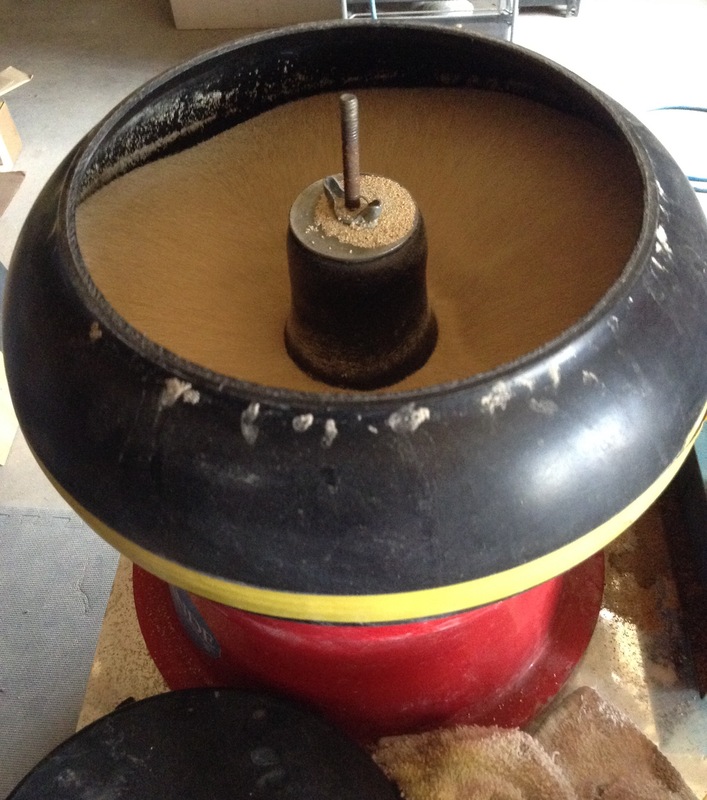 I have a vibratory tumbler filled with ground corn cob. The cob absorbs all of the moisture and prevents the piece from developing water spots. And this is what a piece looks like after it comes out of the dryer. Shiny! Of course at this point the pieces are once again examined in a bright light and checked for imperfections. Scuffs or dirty spots will send them back into the process for touch-up. 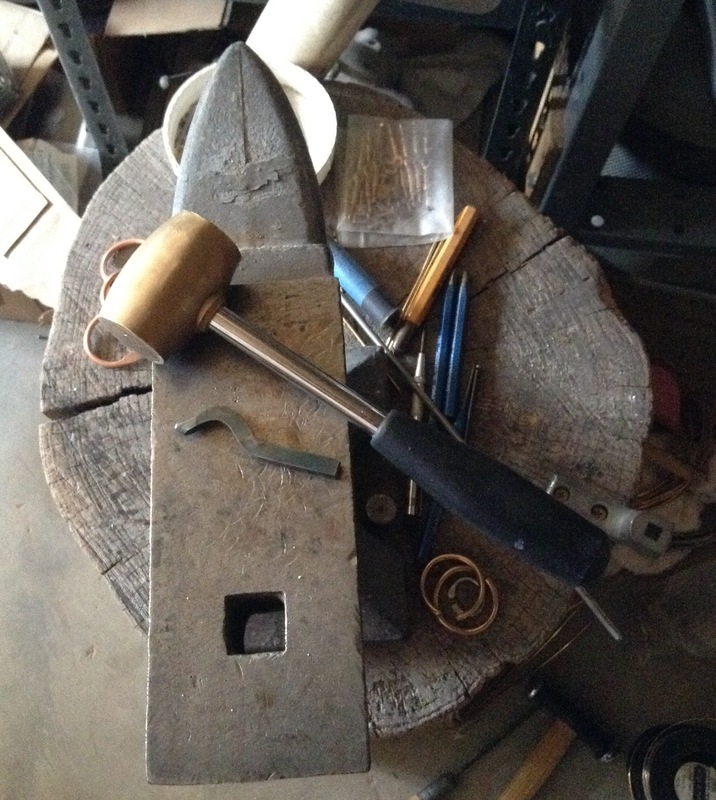 I hope that this picture-rich blog gives you at least an idea of the process that every single piece of cast metal goes through in my shop. There are lots of other systems and techniques that can be used to accomplish the same end results, but no matter what system is used, there is nothing instant about the process! 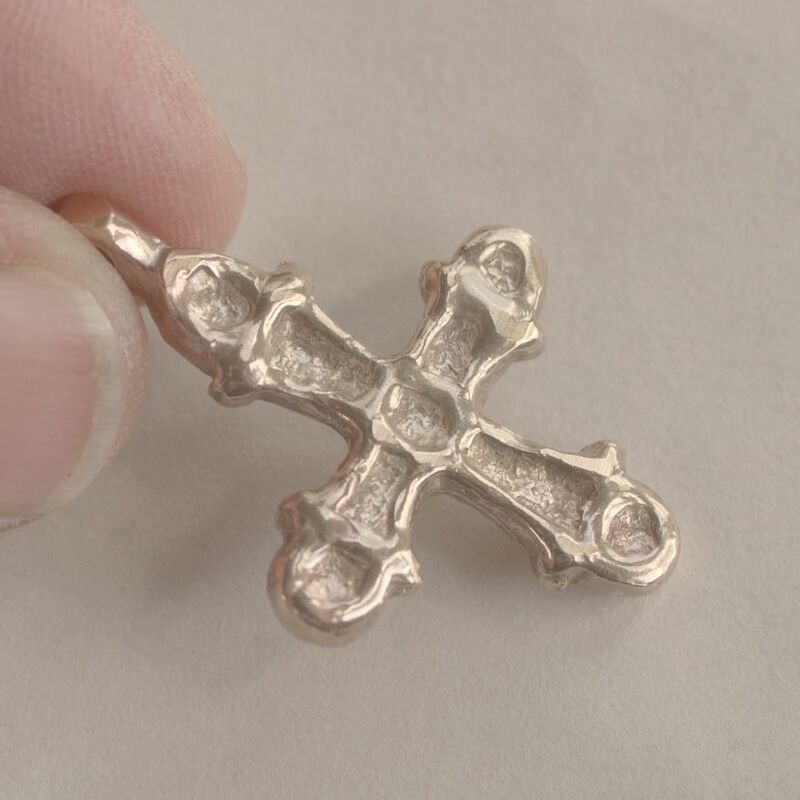 This entry was posted in Metal Casting, Metal Working and tagged finishing bronze castings, finishing jewelry, finishing silver castings, mass finishing by Eirny. Bookmark the permalink.